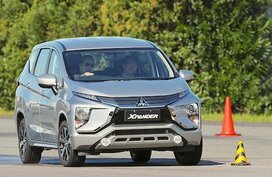 Scan our Mitsubishi Adventure 2017 review for all information in terms of price in the Philippines, specs, interior & exterior design and more. 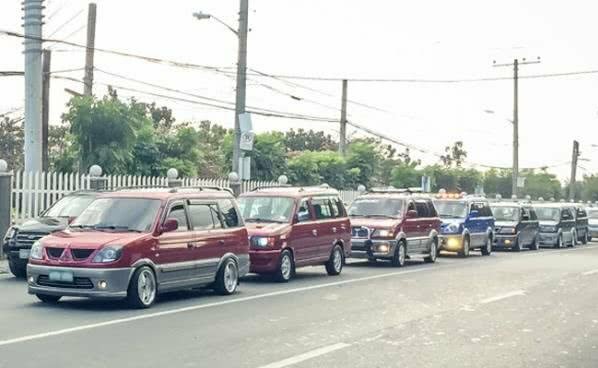 “Today’s Family Wagon” is the name Filipino drivers of the ‘90s called the Mitsubishi Adventure. 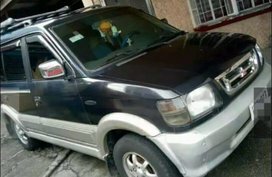 It can be said with certainty that the Adventure is one of the most affordable and featured sports utility vehicles in the Philippine auto market in the past and at the present. 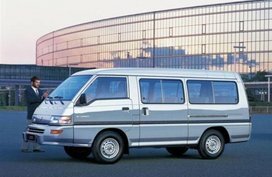 Like the Crosswind from Isuzu, it’s known for a simple design but countless functions. 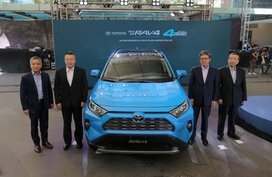 Nonetheless, the Adventure is barely powered by a Euro-2 compliant that cannot permit the AUV to continue stirring the market. 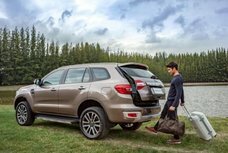 2018 has just come; this means the Mitsubishi Adventure, accompanied with its peasant Isuzu Crosswind has officially been phased out. 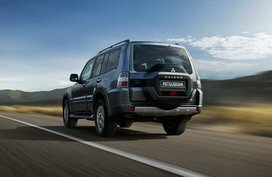 To bid the Adventure a final goodbye, Philkotse.com wants to bring you this Mitsubishi Adventure 2017 Review. Hope that after finishing our review, stagnating in your mind is a good impression of this warhorse. 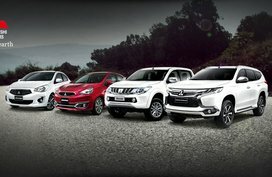 Before starting, bear in mind that our review will cover all four variants in the lineup including: the GX, GLX, GLS Sport and Super Sport. The Mitsubishi Adventure 2017 exterior, similar to its age, looks slightly outdated yet decent. For the front façade, it is dominated by a signature two-chrome-slat grille with a perforated mesh. The top-end Super Sport comes exclusively with smoked headlights cluster powered by round turn indicators and halogen headlights. 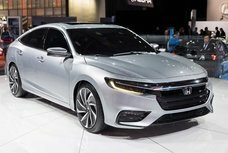 Below is a grey front bumper holding a couple of fog lamps and large air intakes. Accomplishing the grace of the front face is a chrome plated insignia enclosed in the grille. The side profile gives the Adventure a sporty appeal when featuring grey side moldings and fenders. Further, the Japanese also does up its AUV with black pillars as well as chrome-plated window sills and door handles. Again, the Super Sport is coddled with a bulky set of 15-inch 8-spoke alloy ralliart design wheels with Mitsubishi’s badges embedded on whereas the other variants are equipped with 14-inch steel rims covered with 185/80 R14 radial tires. Moving rearwards, dazzling the rear car is the taillight cluster mounting on the D pillar. 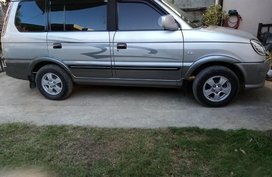 It comes with a hinged back door which will become sportier when fitted with a spare wheel. Similar to the front view, grey continues prevailing over the back of the car. A duo of reflectors finishes the sedated rear design. Moreover, roof rails, two-tone body paint, fender flares and license plate garnish with chrome accent are fully set up in the Super Sport. Coming to the overall measurements, the Adventure has got a length of 4,640 mm, a height of 1,830 mm with roof rails, a decent width of 1,750, a long wheelbase of 2,620 mm and a 180-mm ground clearance. All of these figures create a premise for a roomy cabin inside. The Mitsubishi Adventure 2017 interior is closely akin to its exterior when it comes to old-school design. However, that is partially compensated by an eye-soothing color scheme. Simultaneously, aluminum accents are likewise scattered around the cabin, especially on the dash, steering wheel and instrument cluster. In passing, the instrument cluster gets an eye-catching blue background with a total of 3 analogue gauges: fuel indicator, speedometer and rpm indicator. Particularly, that of the top-of-the-line trim is adorned with aluminum surround. In the meantime, the GLS Sport variant is spoiled with a 4-spoke steering wheel with multi-functional switches. Besides, several utility features are also on tap for examples, cup holders, grab handle glove box and a storage tray. On the subject of seating and cargo, the ergonomically-designed seats are furnished with adjustable head restraints and are covered by bi-tone upholstery, further complimenting the interior’s elegance. As mentioned earlier, the Mitsubishi Adventure 2017 model is fairly spacious from inside thanks to its big outer size. As a result, the base TX can accommodate at least 10 people whereas other higher-end trim, despite having ample should space and legroom, can only cater a maximum of 9 passengers. Other standard convenience features offered in all four trims consist of internally adjustable outside mirrors, power steering system, fabric seats, manual central locking system, cabin lights and laminated green windscreen. More than that, manual air conditioning system, leather seats, parking sensors, premium floor carpets, keyless entry, adjustable driver’s seat as well as split folding third row seats all come as optional features. Concerning entertainment system, the Adventure is blessed with a touchscreen infotainment system with a 6.2-inch LCD monitor. As well as that, a 2-DIN based audio unit coming with a radio tuner, a DVD player and 6 speakers with 2 tweeters. It also supports satellite navigation system and video playback along with Aux-in, USB connectivity and Bluetooth devices. Safety is not very appreciated in this old Adventure. However, the car can confidently keep you safe with three-point seatbelts, child proof locks and side impact protection beams. Rear bumper skirts and side mirrors with LED turn indicators. With a rigid body structure featuring crumple zones and impact protection beams, collision impact can be taken in greatly to safeguard the passengers. Sadly, no ABS, no airbags and no advanced features. 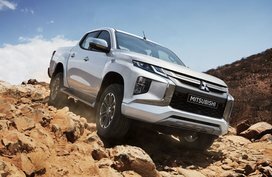 Mitsubishi equips all Adventure variants with a Euro-2 compliant 2.5-liter 4-cylinder 4D56 diesel engine which is based on SOHC valve configuration and is integrated with a fuel injection system. This power plant can generate 75 hp at 4,200 rpm and 149 Nm at 2,500 rpm. Converting power to the rear is a 5-speed manual transmission. Owing to this decent engine, the Mitsubishi Adventure 2017 model boasts a great fuel efficiency of 8.0 km/L on city roads and 14.0 km/L on the highways. 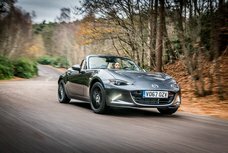 With regards to acceleration ability, the Adventure 2017 can rocket from the stand still to 100 km/h within 15 seconds before topping out at 160 km/h. As noted above, in spite of being very neat and potent, this Euro-2 compliant engine is the main reason why we have to farewell the Mitsubishi Adventure. Like the case of the Isuzu Crosswind, our country requires car manufacturer to build only cars with Euro-4 compliant power plants by 2018, and regretfully, our vehicle could not meet this requirement. In the matter of braking and handling, the front wheels are decked out with ventilated disc brakes while the rear ones are given trailing and leading drums. They’re combined with 9-inch brake boosters to improve braking mechanism. The Mitsubishi Adventure 2017 performance on the rugged roads is brilliant. The vehicle always remains balanced due to its great double wishbone suspension system. What’s more, a power steering system concurrently exudes quick response then brings driver an exciting driving experience. The pricing for the Mitsubishi Adventure 2017 model ranges from ₱690,000 to ₱1,010,000 depending on specific variant. In the main, this price is very competitive when compared to other AUVs’. 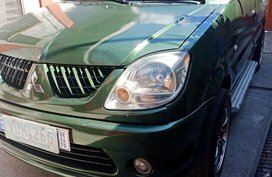 For such nice characteristics and an attractive price, this AUV is well worth considering, especially for those who’re under budget and just need to travel around paved roads. 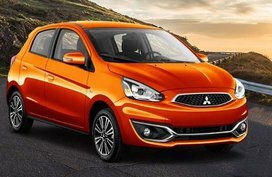 If you’re also into other Mitsubishi models, click here for the most updated Mitsubishi car price list in the Philippines. 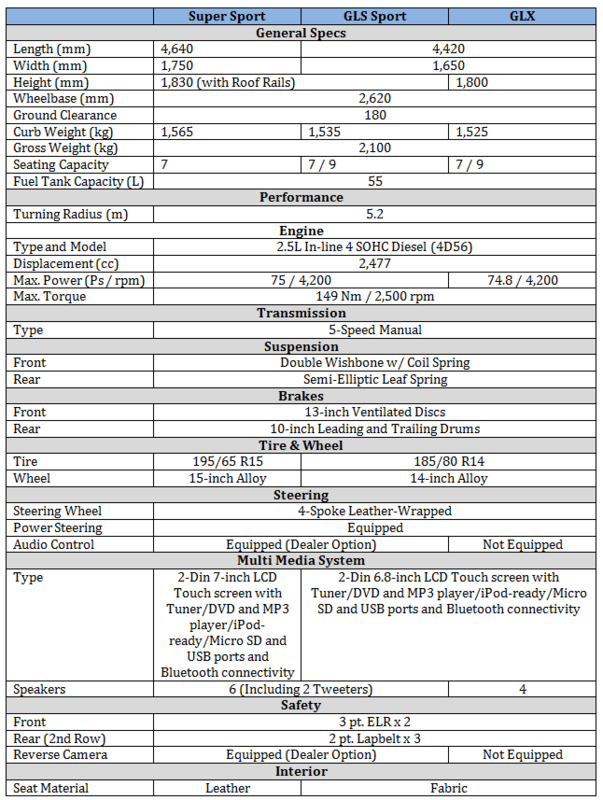 To recapitulate our Mitsubishi Adventure 2017 review, let’s have a look at the specs sheet and our brief of its pros & cons. 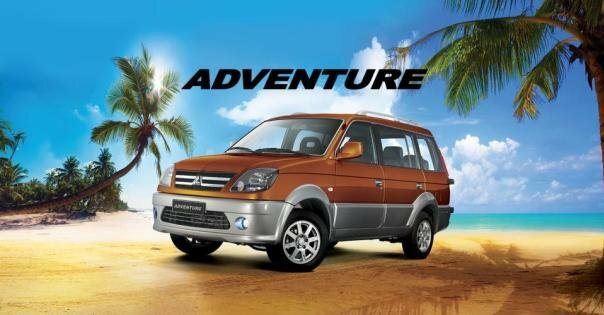 >>> Also considered as a touching goodbye to the Adventure, this so-called review contains words from the bottom of an Adventure’s owner, click here to read full.